This section of Weird Science is all about books. It’s a place to find honest reviews on popular and unique science books that might interest younger folk. If you know of any cool science books that you would like to see reviewed here, then let me know by filling out the contact form on my about page. When National Geographic asked me to review their new book called Vampire Forensics, I had to ask myself if I had the guts to do it! As a self-proclaimed scaredy-cat, I wasn’t sure if learning about the origins of vampires would be something my timid self could take. 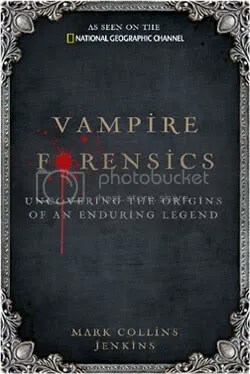 Vampire Forensics traces the history of vampire culture. Early on in the book, Jenkins writes about a mysterious, 16th century skull discovered in Venice that was thought to be the remains of a female vampire. In other areas of the book, diseases such as the plague or tuberculosis are linked to vampire myths. While I expected a lot on forensics, this part of the book fell short. Instead, I read about all kinds of folklore that were scattered together without the structure a reader needs to make sense of it all. Still, there are heaps of fun tales and facts that kept the book interesting right to the end. Read the full review here. Should you believe everything you see? Well, in the case of the Ripley’s book that I was sent to review, you can believe most of it! The new Seeing is Believing book by Ripley’s Believe It or Not is a bright, colorful book with a rather creepy but intriguing eyeball on the cover. After reading it and testing it out on a younger friend, I discovered that no matter what age, people like weird stuff and they like simplicity. Ripley’s manages to do both and do it creatively in a way that speaks to young and old alike. My excited thirty-one-year-old friend enjoyed the book as did his nine-year-old son. Still, I did spot a minor inaccuracy. Fortunately, it didn’t break the fantastic impact and enjoyment of this quirky book, but it’s perhaps a reminder to kids and adults that there is a lot more to science than meets the eye. Read more of my review here. 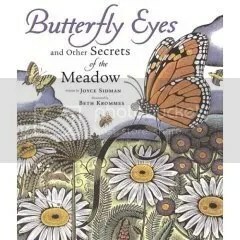 In this book, Sidman uses poems and prose to tell us about the many different creatures of the meadow. The poems themselves are riddles and you get the fun task of solving them! Topics vary but include butterflies, grasshoppers, snakes and many other peculiar critters. Some of the poems are really funny while others are mysterious and captivating. Yet, all are enchanting! The illustrations are stunning and they carry just enough depth without being too complex. I’m not usually one for poetry but Sidman has a way with words that beautifully brings science to life. This book is aimed at kids up to grade 5, so it’s simplistic format will perhaps jive more with my younger, tween readers. I, however, actually think this is one of those rare books that approaches science in a special and surprising way that will appeal to all ages.